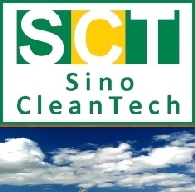 Sound Environmental Resources Co Ltd (SHE:000826) is a China-based company engaged in the urban water supply, waste water treatment, solid waste treatment and recycle, as well as projects contract construction service business. The Company operates its businesses through solid waste treatment projects municipal engineering services, installation and technical consulting support of solid waste treatment systems, waste water treatment and tap water supply, among others. The Company operates its businesses primarily in domestic markets, with central China as its main markets. It established two wholly owned subsidiaries in Beijing and Yichang respectively, on May 13 and May 22, 2014. On May 30, 2014, it sold stake in 22 subsidiaries to a wholly owned subsidiary.